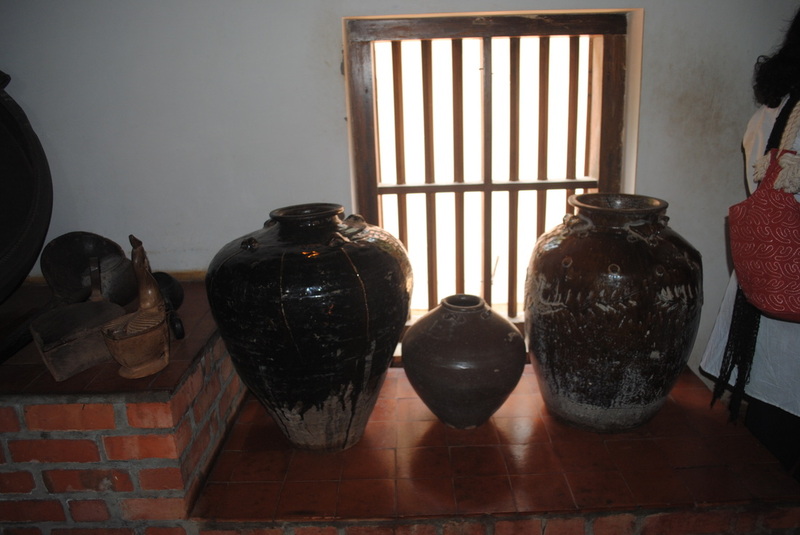 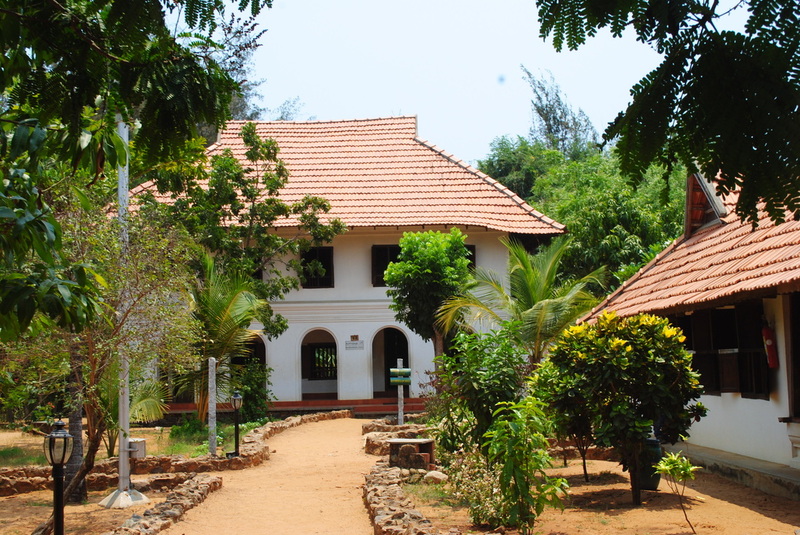 Dakshinchitra is located in between Mayajaal & Muttulaad on the ECR road from Chennai to Pondy. 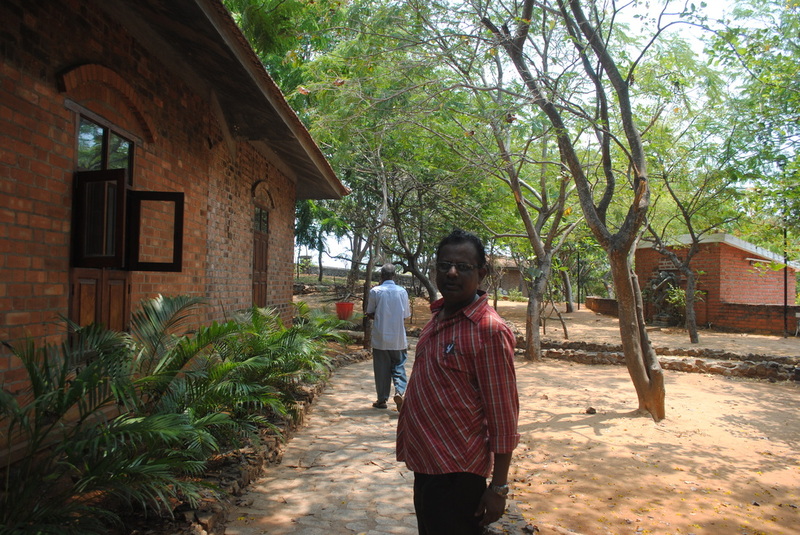 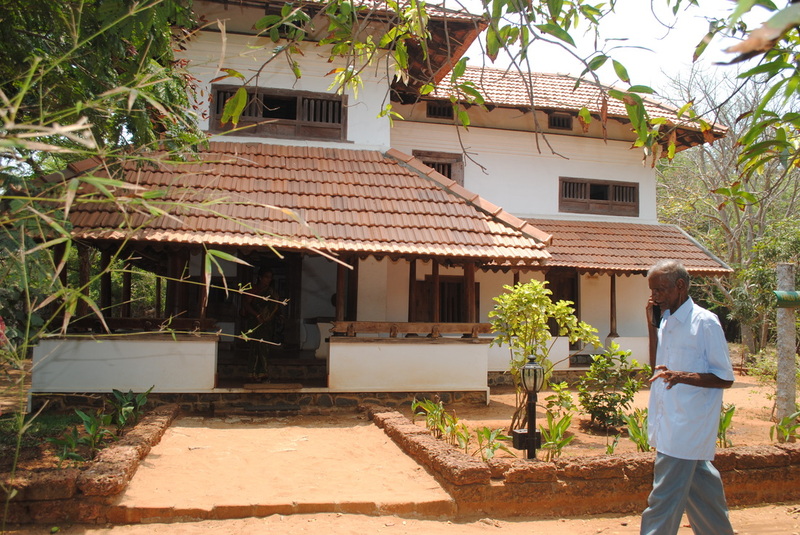 It house full scale houses from mainly Kerala & Tamilnadu and some from Andhra & Karnataka. 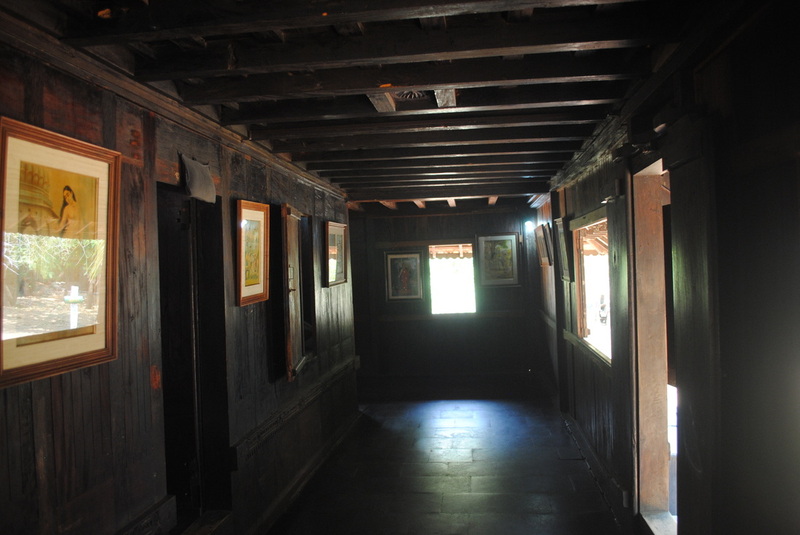 Some of the houses are pretty old which are dismantled from their original locations and reassembled here. 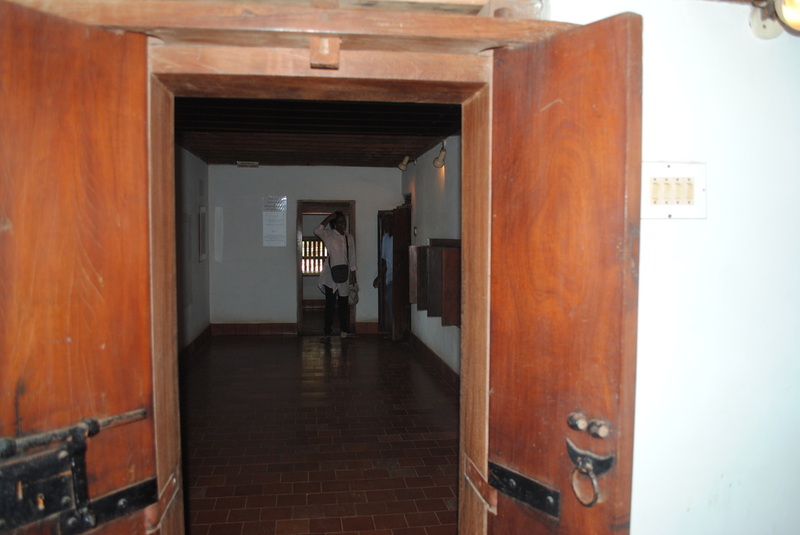 The entry fee is Rs.75/- per person. 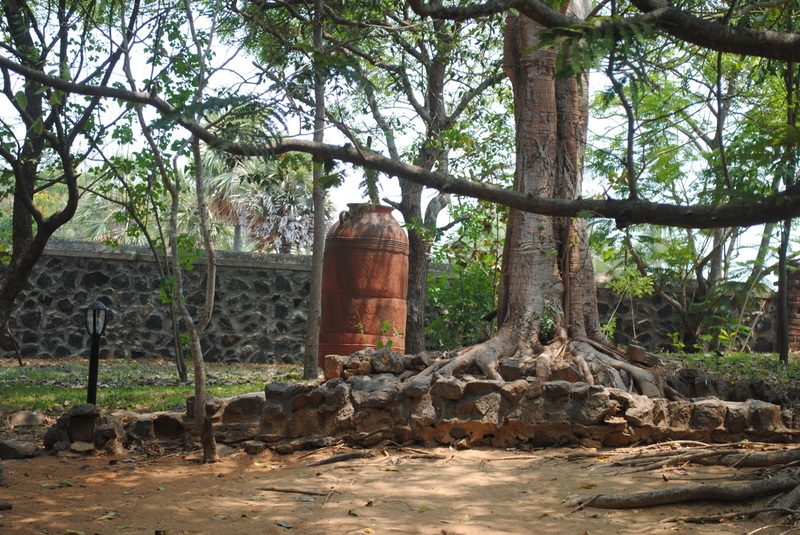 If you want to thoroughly see this place then you would require one full day, for a quick run through an hour and half is enough. 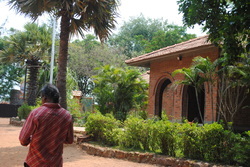 There is a good restaurant inside the campus. 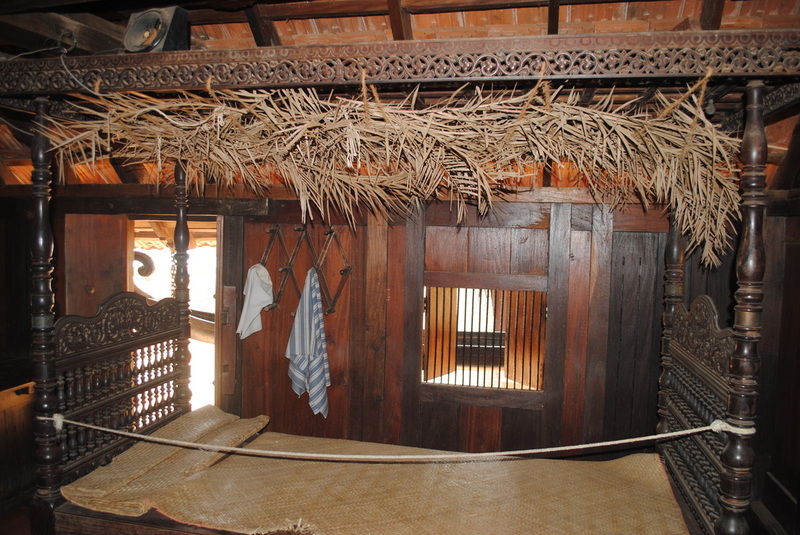 Tuesday is a weekly holiday. 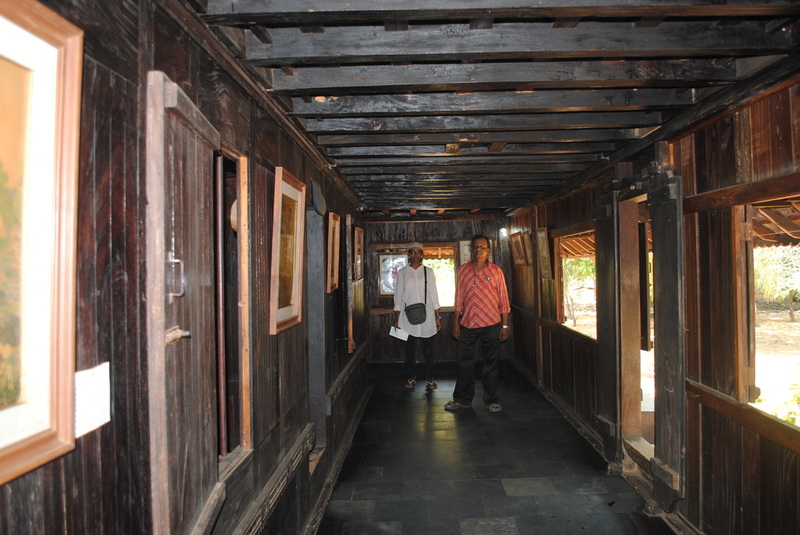 There is adequate parking space, restroom for the driver. 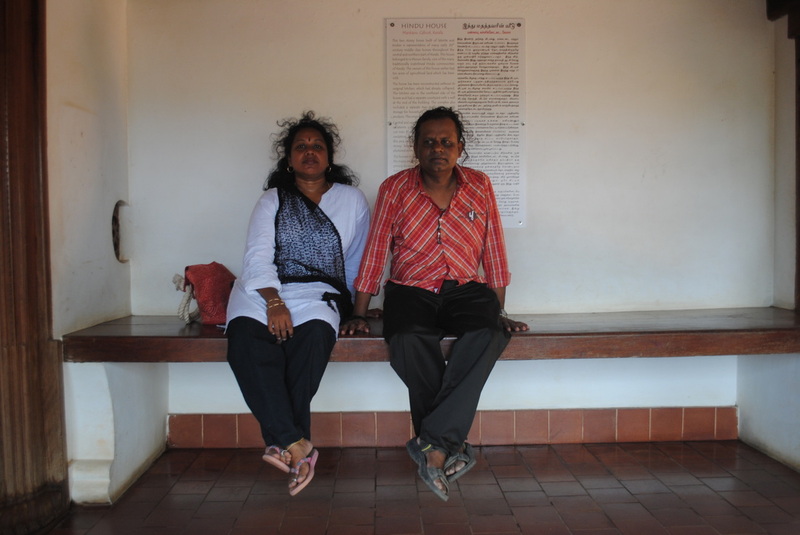 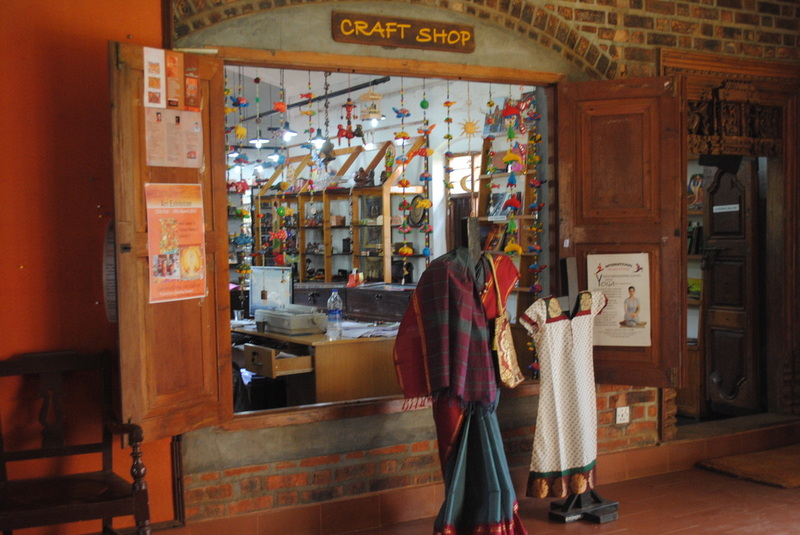 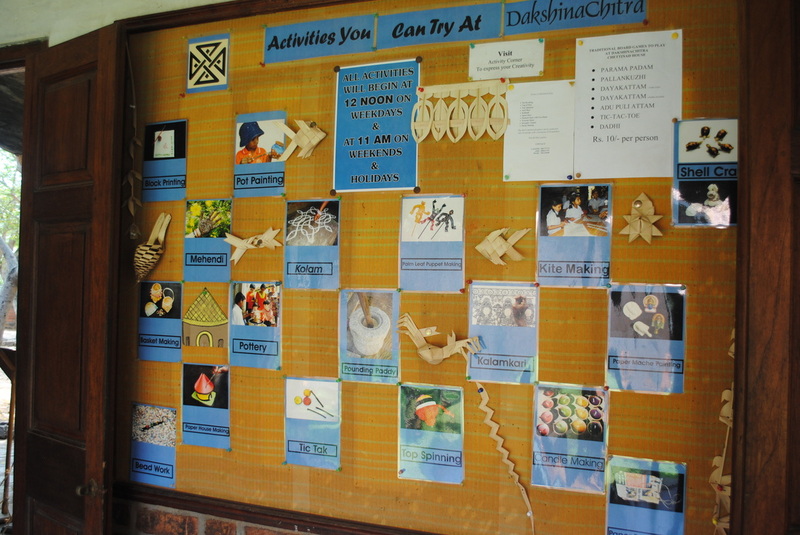 The activities you can carryout in Dakshinchitra. 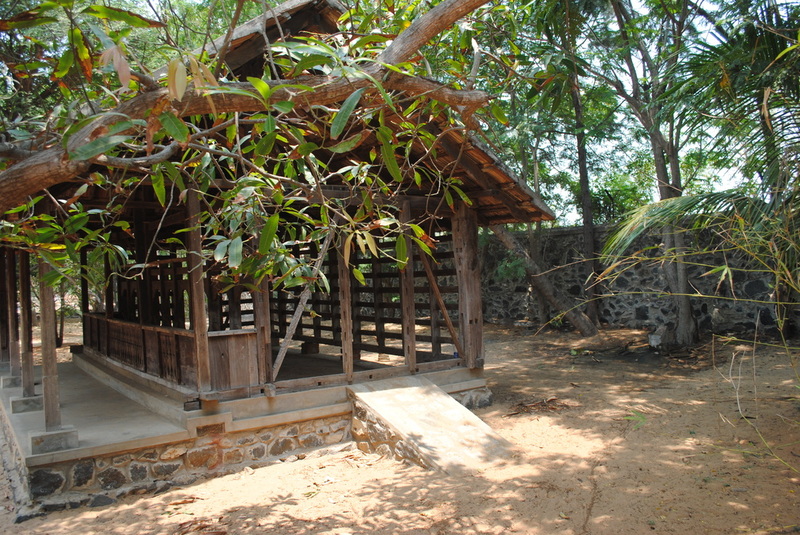 Once you are out of the reception complex it opens out into a space with full of trees. 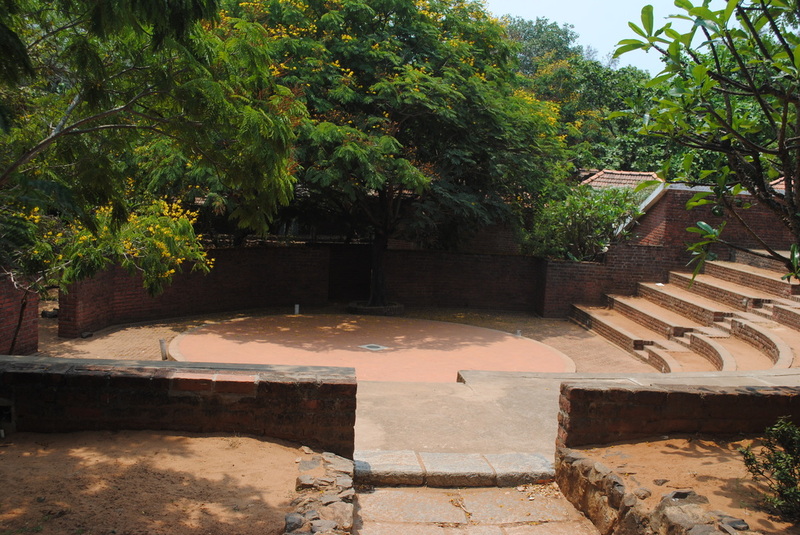 There is an Amphitheater on the right side of the path. 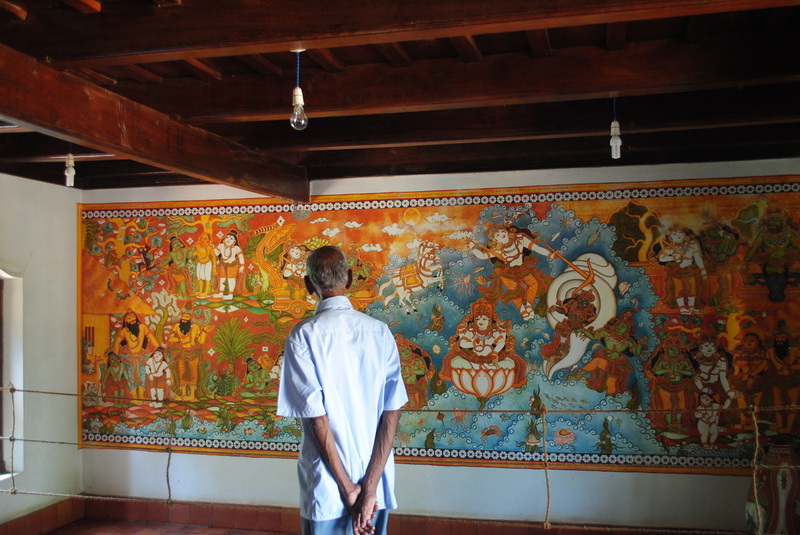 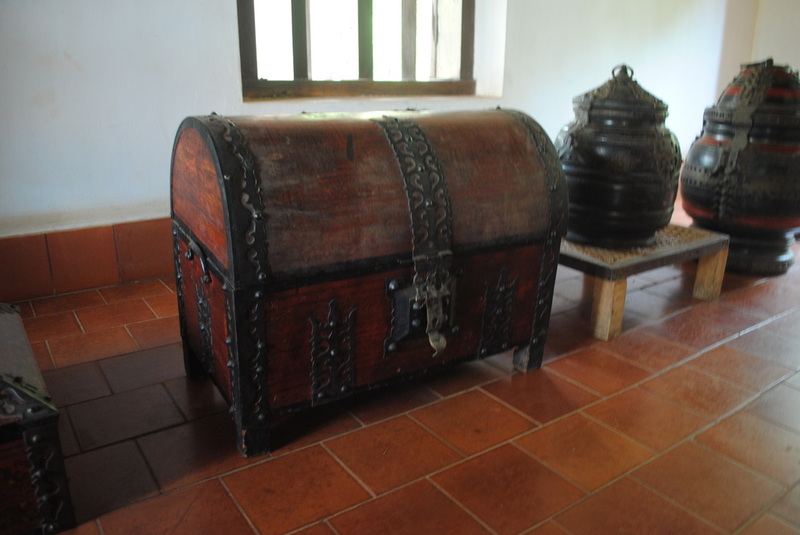 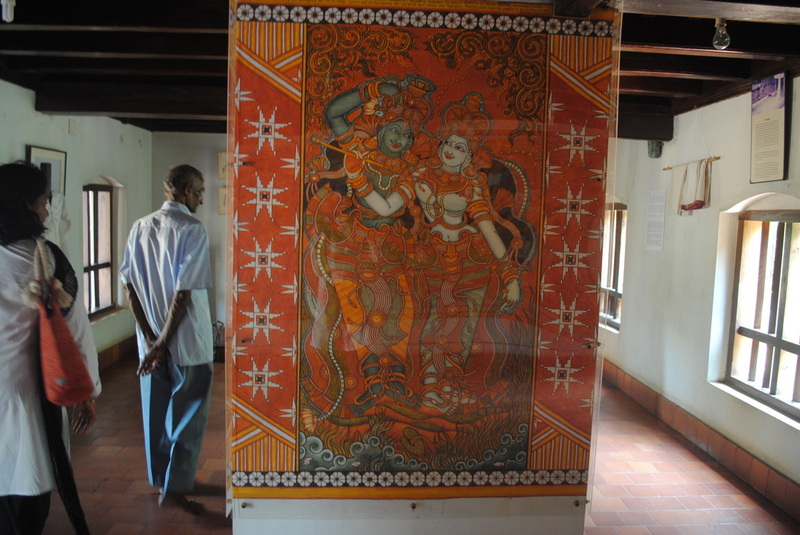 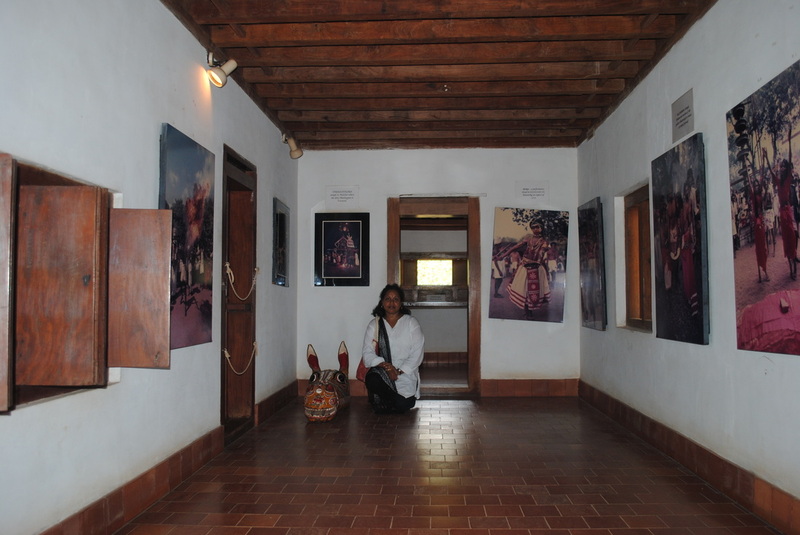 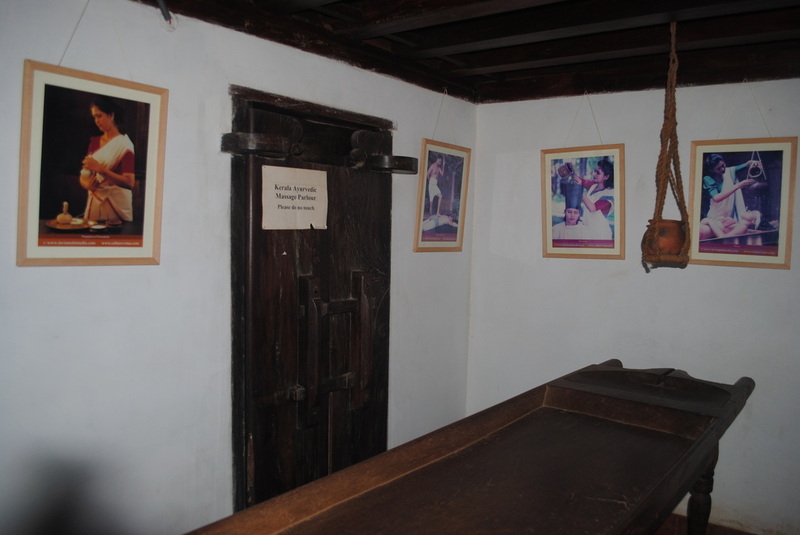 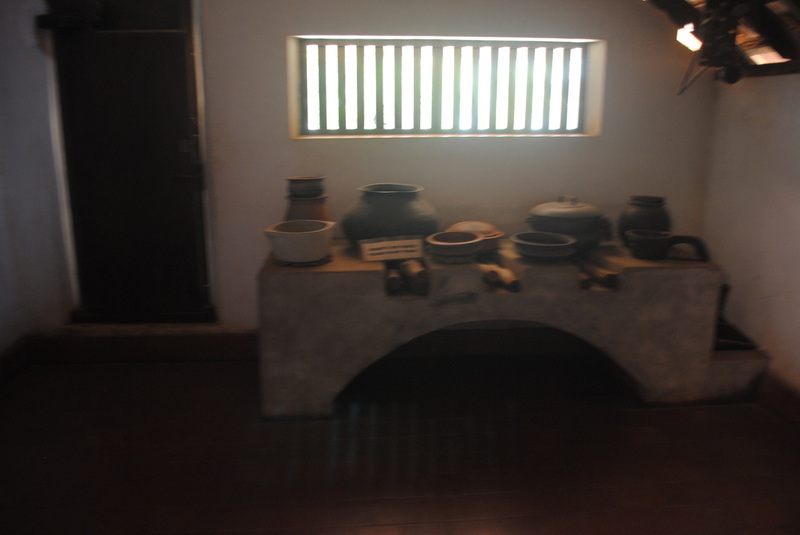 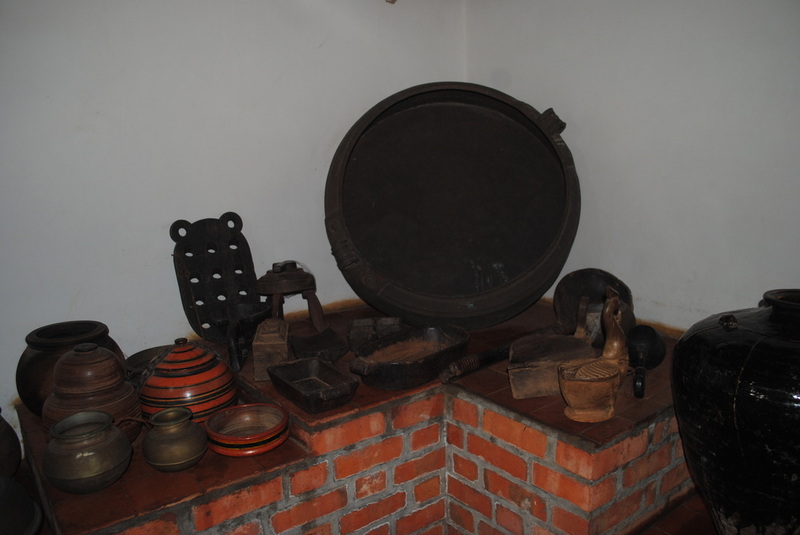 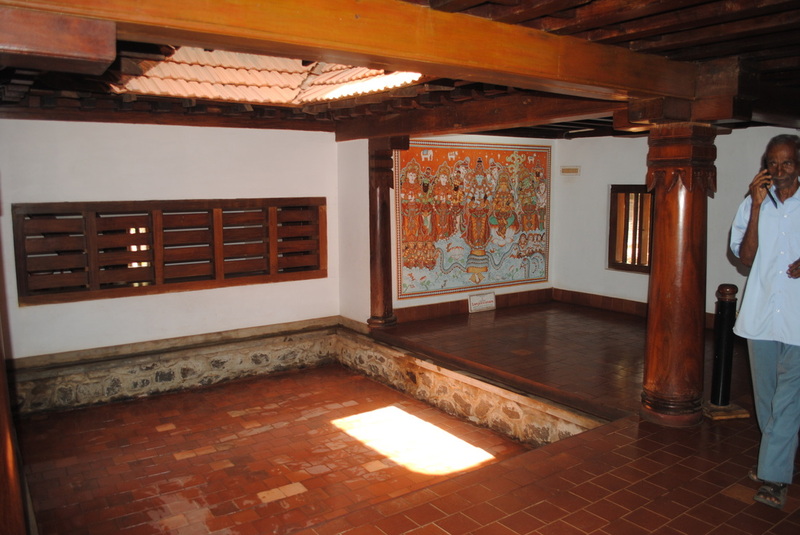 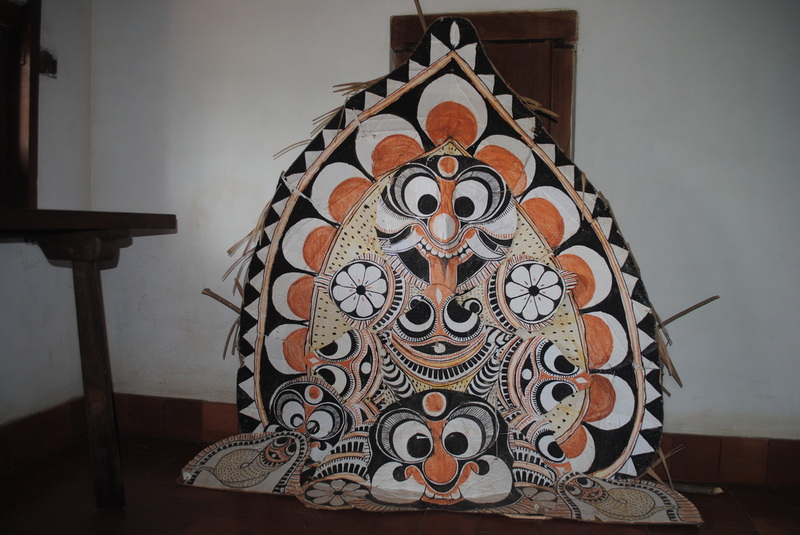 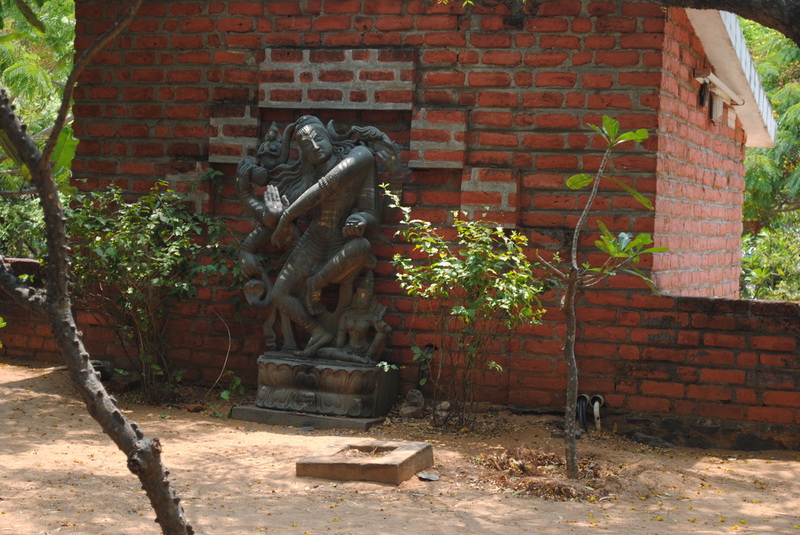 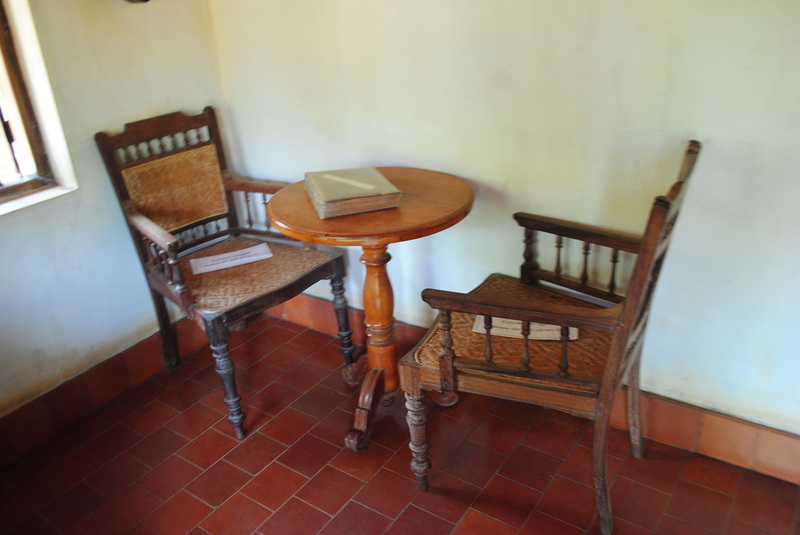 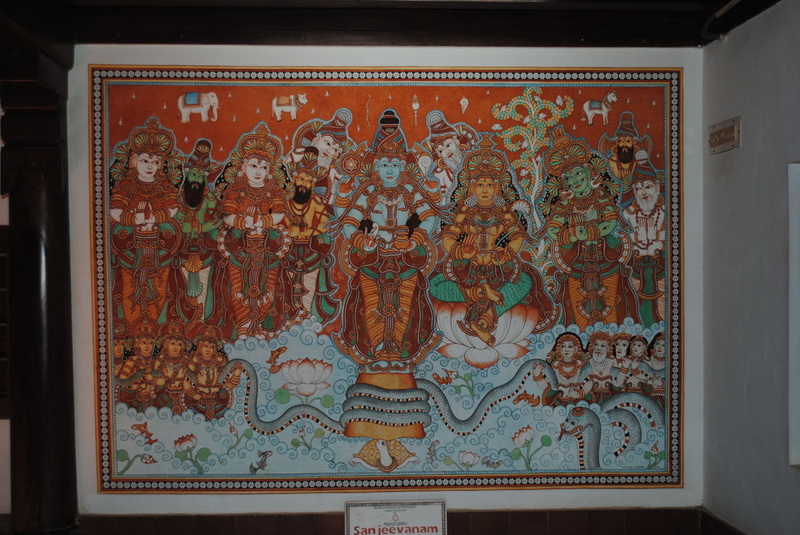 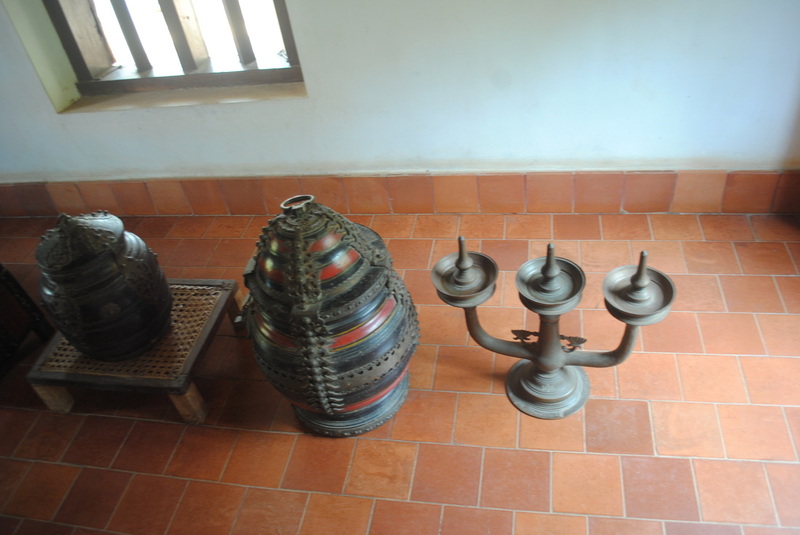 The "Sanjeevanam" art work inside the Calicut House. 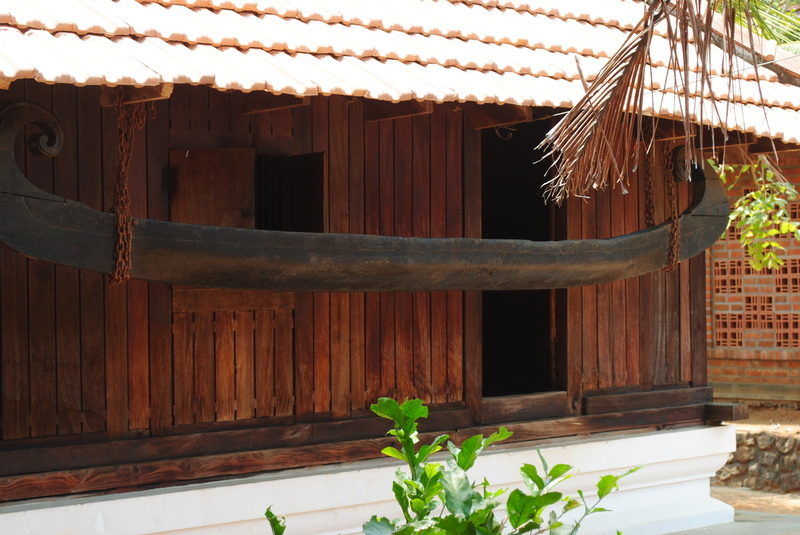 Looks like a traditional cow shed, I am not sure. 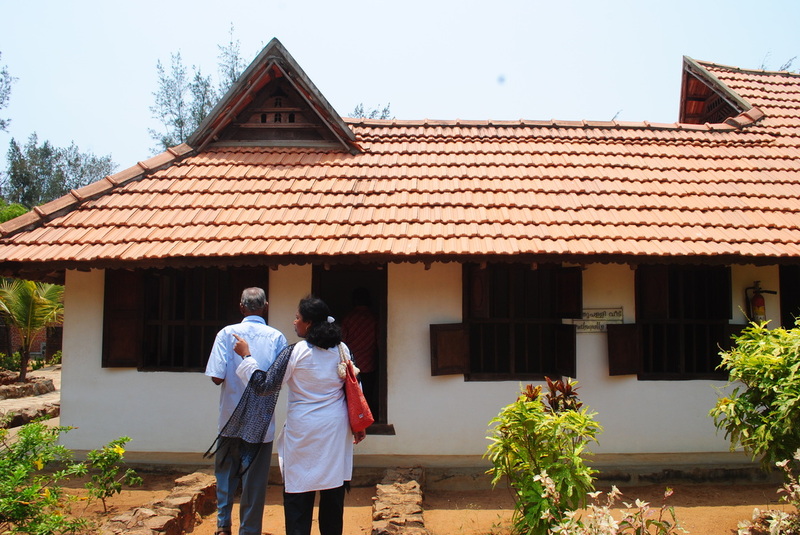 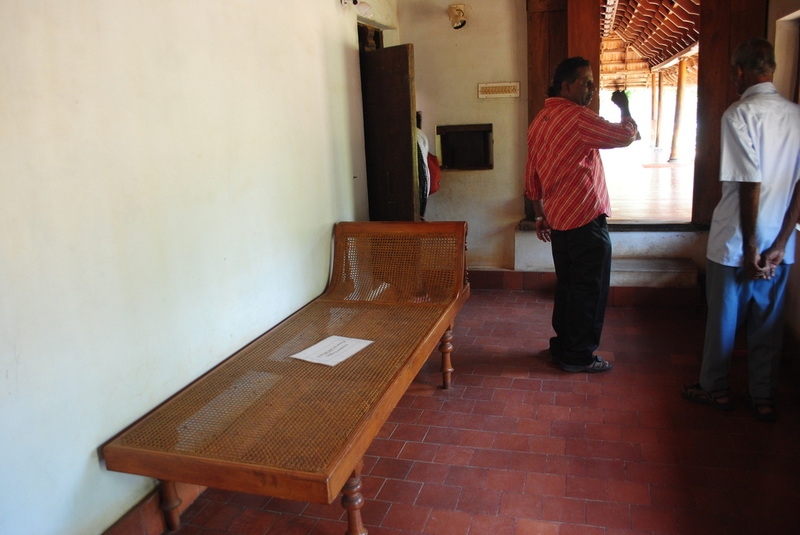 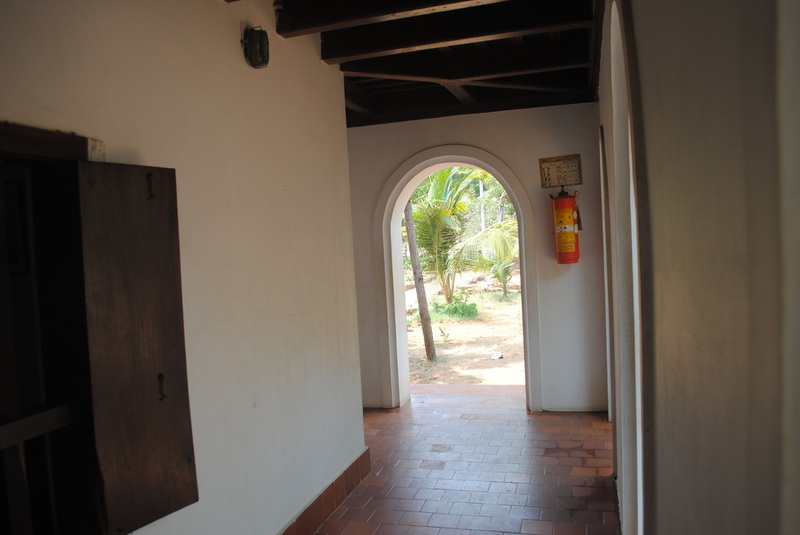 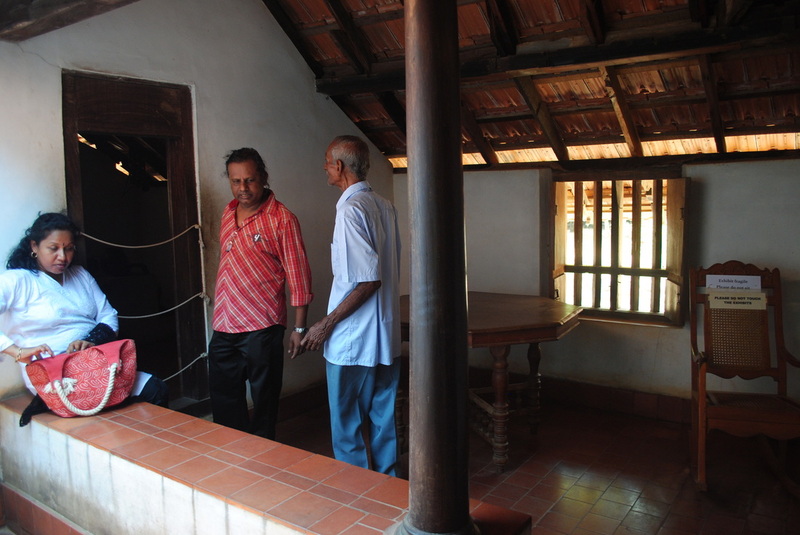 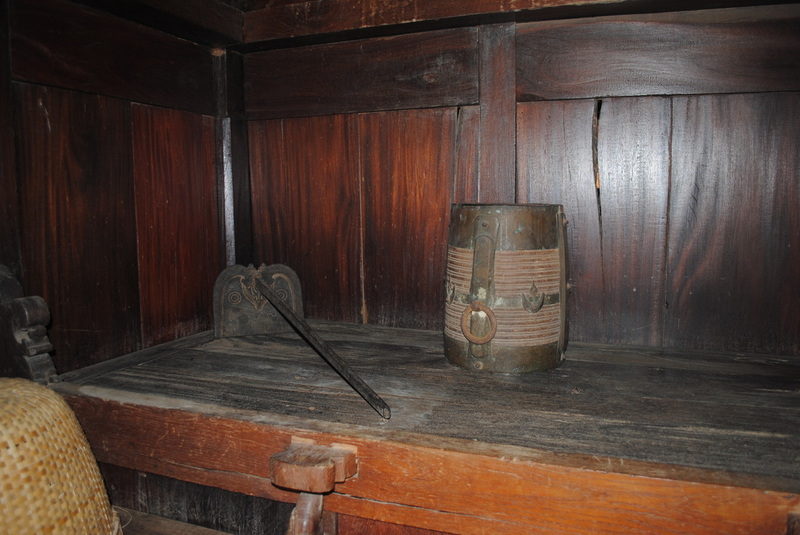 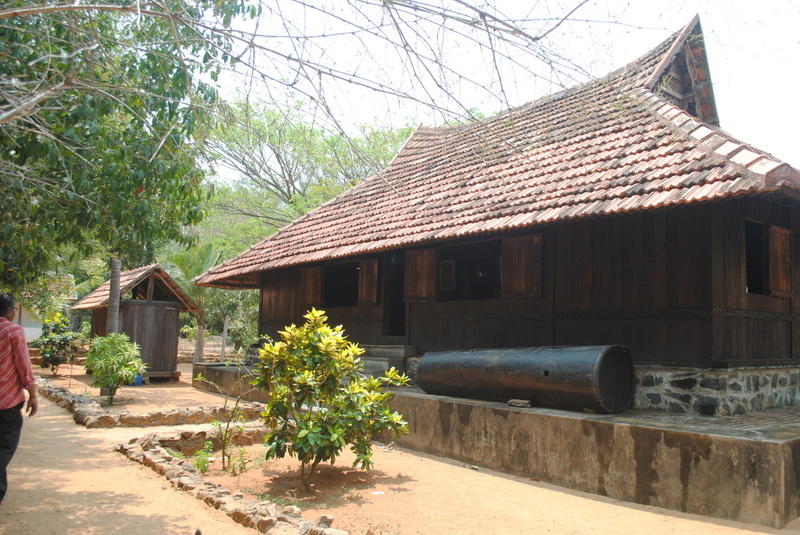 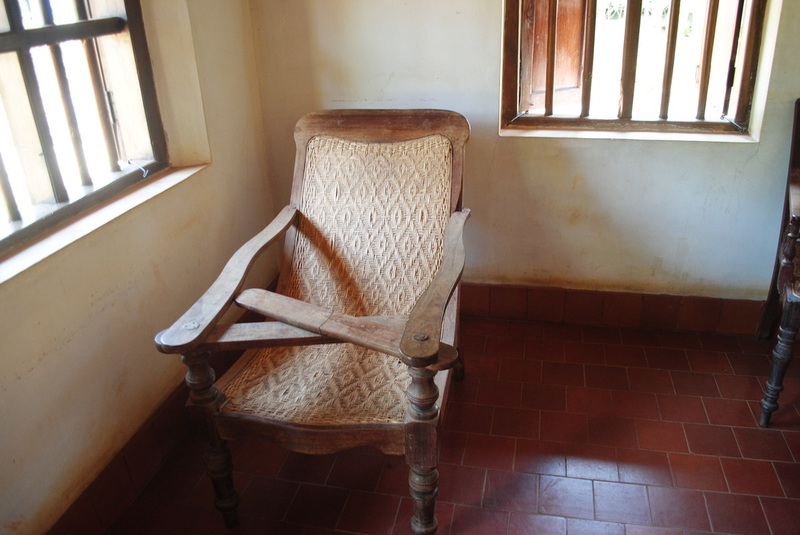 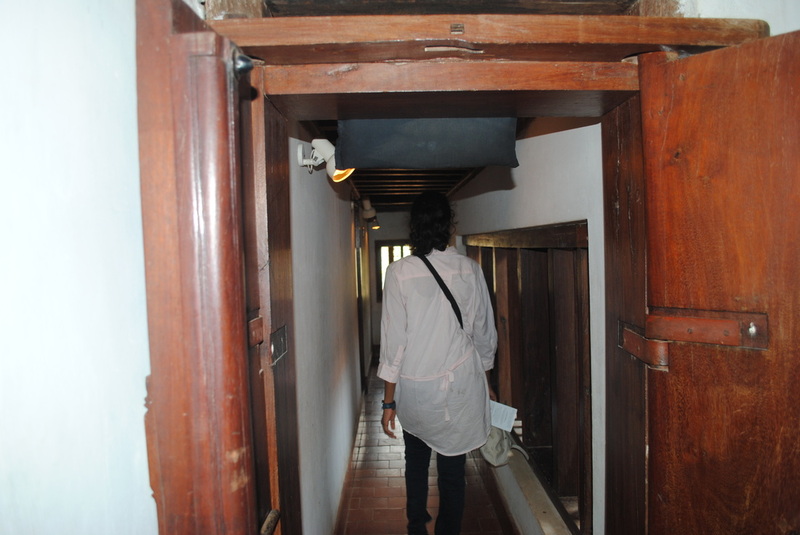 The Calicut House though small has lot of rooms at two levels and there is a small attic too.